Small wind turbines continue to emerge in Minnesota communities. Some of the equipment for these turbines is bought and sold in the retail market, and some of it is built or invented on site. 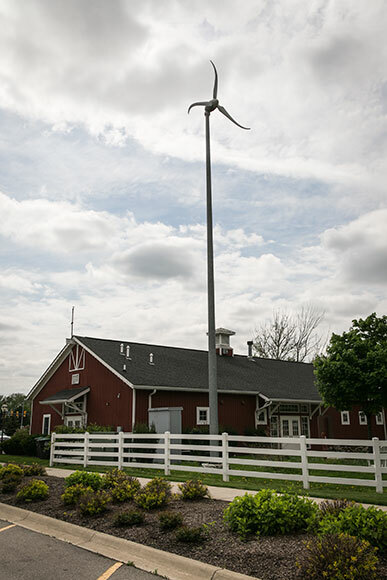 These backyard wind installations may be unregulated and can cause conflicts within local communities. Often, the communities do not have the background or information available for creating policies that address planning, permitting, siting, and zoning for small and distributed wind projects. The City of Orono has been in the news lately with a contentious issue regarding small wind turbines on residential property. The city and a resident turbine owner have been to court a few times over a particular set of small wind installations. The situation has not been resolved, because there are several issues that need to be sorted out before the city can go forward with the best interests of the community in mind. With guidance, this situation could be turned into a Minnesota case story for model ordinances with best practices for small or distributed wind development in terms of planning, permitting, siting, and zoning. Commonwealth Edison's (ComEd) Grand Prairie Gateway Project, a transmission line that is expected to remove wind energy bottlenecks in Illinois, has received approval by the Illinois Commerce Commission (ICC).